This is 33 Smart ways how to prepare many tiny things or small household items you possess featured at simphome. 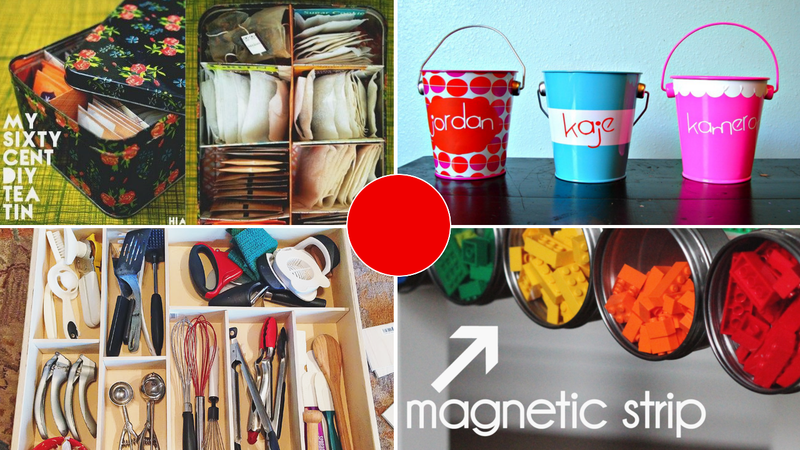 Another organizing concepts you would possibly copy after reading this list. 1. Organize your Bobby pins inside a magnetic clasp holder. compare to a magnetic strip hacked in your drawer. 2. Hold of or grab your hair ties together with a carabiner. 3. Group your earrings up inside an ex-ice or new ice cube tray (Plastic or glass). 4. Or packed your jewelry collection inside a daily pill plastic box. It’s difficult to find this item in a shopping center, so move your search to your local pharmacy store. 5. Cloth a corkboard with a linen and used them as a canvas jewelry for yourself. 6. Cluster your nail polish by their color and group them inside a different pocket shoe organizer. 7. Organize your makeup brushes and amenities inside a toothbrush holder. But, first, keep them clean all the time before you secure them. 8. Purchase PVC pipes, paint them, and use them as a comfortable house for your underwear. 9. Get curtain ring, Loop them on top of your over-the-door towel rack to house your favorite scarves collection. 10. Offer every family member their own jar for their toothpaste and toothbrush. Or get a mini bucket, or meme character plastic cup. That’s it for our first part and see you again soon on another side.